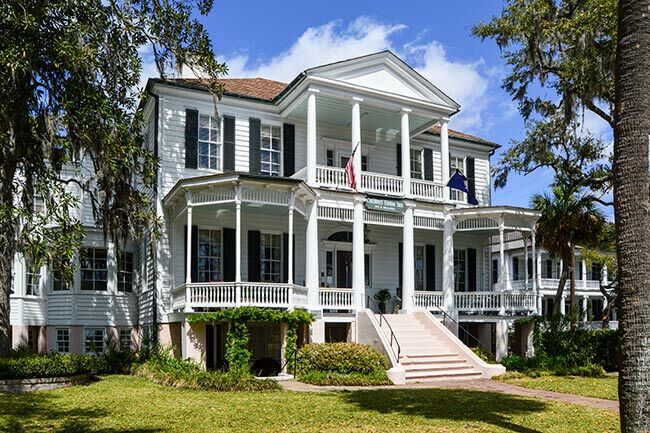 This Federal-style home in historic Beaufort was built by John Alexander Cuthbert for his new bride, Mary B. Williamson, in 1811. 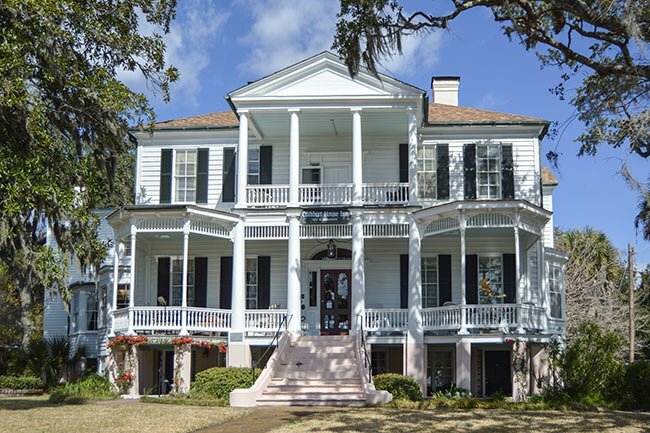 Its more notable owner, however, arrived during the Civil War. 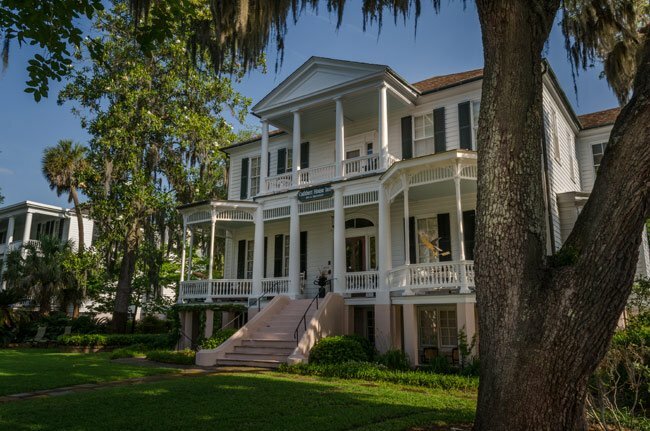 In November of 1861 Federal troops occupied the sea islands of Georgia and South Carolina – including Beaufort – and as a result most white land owners evacuated their plantations and town homes. The United States seized many of these properties and sold them in tax sales. The Cuthbert House was one such vacated property, and United States Army Brigadier General Rufus Saxton purchased the home in a tax sale for $1,000 and hosted General William T. Sherman here shortly afterwards. General Saxton, for whom the Civil War garrison Camp Saxton was named, was placed in charge of abandoned plantation property in the Beaufort area in June of 1862. Property was defined to include any slaves who were left behind. This responsibility was part of his duty in overseeing Freedmen Affairs and Cultivation, which included teaching the displaced African-Americans how to operate and manage the abandoned land. General Saxton also led the First South Carolina Volunteers, the United States Army’s first black regiment. The regiment’s camp at the site of the current Naval Hospital Beaufort served as its garrison from November 1862 through January 1863. General Saxton famously read the Emancipation Proclamation under a live oak at the camp – which is still living and known as the Proclamation Tree – on New Year’s Day of 1863. 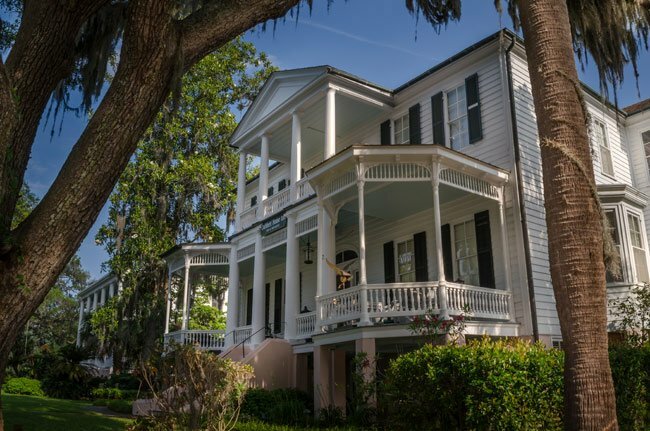 Architecturally, the Cuthbert House is typical of Beaufort’s gracious waterfront homes and is an important component of the Beaufort Historic District. Built ca. 1811, the Federal style Cuthbert House is mounted on a raised foundation with central hallways on both floors extending from front to rear, the white clapboard house is designed to take advantage of the waterfront southwesterly breezes. The façade has a central, double-tiered portico supported by Tuscan columns. First floor entrance is surmounted by a semi-elliptical fanlight and flanked by sidelights and has a pair of shuttered windows to either side. Alterations of the late nineteenth century include the addition of rooms, bay windows, Victorian trim and porches on either side of the central portico. John Alexander Cuthbert was born 1790 in St. Helena’s Parish, South Carolina. In 1811, he married Mary B. Williamson of Prince William’s Parish for whom this house was built. 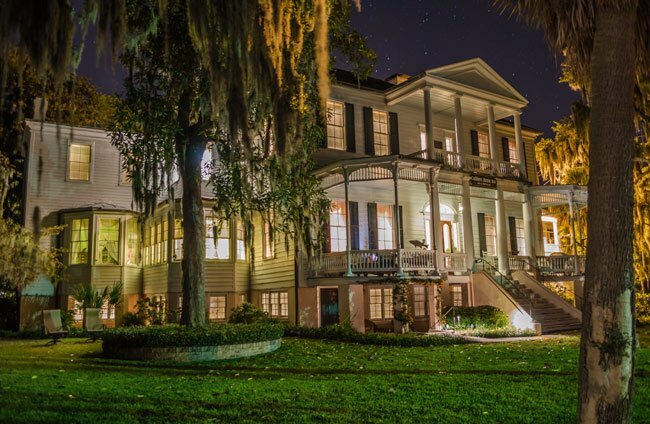 During the Civil War, the Cuthbert House became the property of US Army Brigadier General Rufus Saxton. General Saxton became director of freemen affairs and cultivation in June 1862 when this responsibility was shifted from the Treasury to the War Department.